Many ministries must undergo major change in order to fulfill their mission, and more importantly, to fulfill God’s mission, in today’s world. This book tells the story of the relocation of Gateway Seminary—as well as other stories of major change. In doing so, it lays out the principles and processes necessary to get the job done. The first section of Leading Major Change in Your Ministry outlines foundational concepts to leading major change. The second section explains a six-fold model for leading major change in churches and ministry organizations. The book includes illustrations throughout, not from hypothetical situations, but from real-life ministry challenges in both local churches and large organizations. While theories about leading major change are interesting, practical insight about how to do it—written by someone who has led multiple organizations through major change—is far more helpful. The stakes are high. Leadership decisions in ministries have eternal consequences. Almost every church or organization needs—or soon will need—to be led through major change. 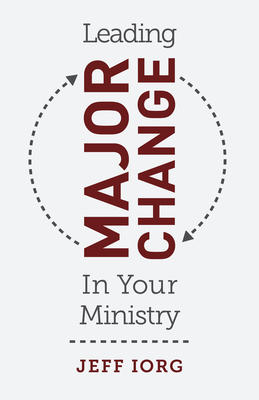 Leading Major Change in Your Ministry is your guide to successfully getting it done. Jeff Iorg is president of Gateway Seminary, a learning network with five campuses and a robust distance learning program. He speaks frequently on leadership and pastoral ministry issues in conferences and classroom settings. Iorg maintains a leadership website at www.jeffiorg.com, is featured on the Lead On! podcast, and has written or edited seven other books. He and his wife Ann live in Ontario, California.